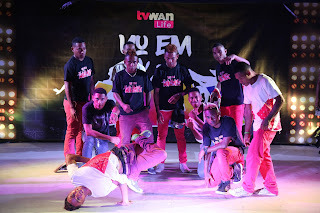 The country’s most entertaining talent will be revealed this Sunday night, when TVWAN Life airs the grand finale of its hit reality talent show Yu Em Khax at 7:25pm on Sunday night. The locally-produced Digicel Play TV show is a first of its kind talent show profiling Papua New Guinea’s most talented, unique and brightest entertainers. The winner of the show will walk away with K20, 000, second place will receive K10,000 and a K5,000 prize will go to the third placed act. The show’s judges, Calextus Simeon, Mereani Masani, DadiiGii and Mistiq will have the tough job of selecting the top act and rewarding generous monetary prizes to the top three. There will also be consolation prizes for the acts placing fourth, fifth and sixth. DigicelPlayCEO,NicoMeyer said this Sunday’s episode is one not to be missed. “Will the singer Wilson Pulu touch everyone’s heart with his soft rustic voice or will magician Jack Spade awe the crowd with his amazing tricks? All will be revealed this Sunday on Yu Em Khax at 7:25pm on TVWAN Life,” he said. “We’ve had such immense talent on the show and are grateful to have had the opportunity to unearth PNG’s best talent. “We’re so pleased with how people around the country have embraced the show and rallied behind the talent each week. Nico reiterated Digicel Play’s commitment to producing local content for positive contributions to the community. “Digicel Play is committed to the growth of the local entertainment industry in PNG and strives to bring the best entertainment to PNG. Digicel Play does not support domestic violence nor any other sexual connotations in any of our local productions,” he said. People can subscribe to Digicel Play by visiting a selected Digicel stores, dialling *515# or calling 180 1515 to speak with a friendly member of the Digicel Play customer care team.